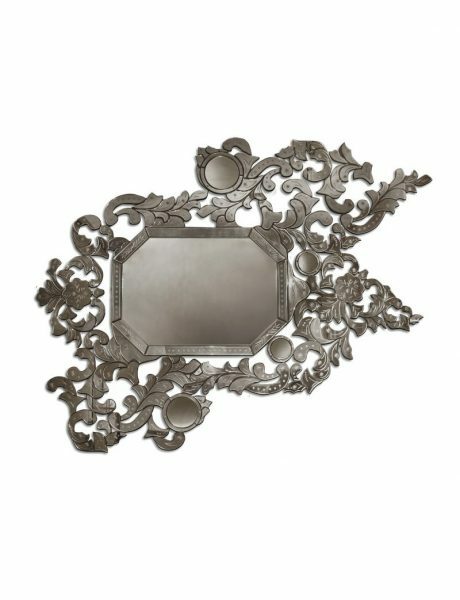 Inspired by the richness of traditional Venetian mirrors, the ADDICTA Mirror is an opulent, luxurious statement piece. It brings glamour to any interior and mesmerizes with its lavishness and magic, so that it becomes difficult not to look in this ornate mirror all the time. Opulent ornate mirror design inspired by Venetian traditions, bronze and glass. 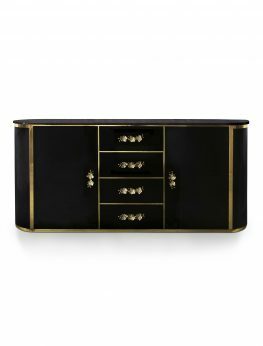 The vintage-inspired drama of this elegant chest captures the essence of style. Curves and subtle gold gilt makes the Orchidea chest an irresistible choice. Oval top in ebony veneer structure in high gloss black lacquer with four drawers lined in black velvet. Doors and drawers adorned with cast bronze orchid handles supported by a polished brass base. 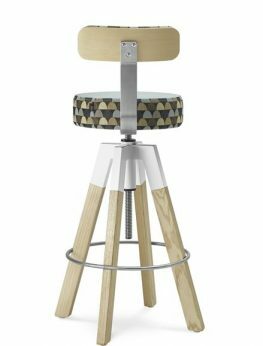 The SPIN collection comprises a height adjustable swivel stool perfect for sitting and standing. 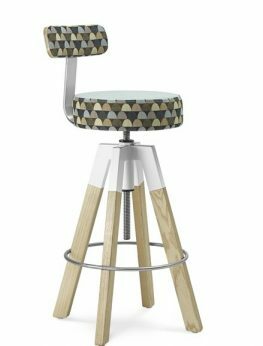 These stools prove that it is all about well-designed detail. A detail that makes this product visually unique and raises comfort to the next level. 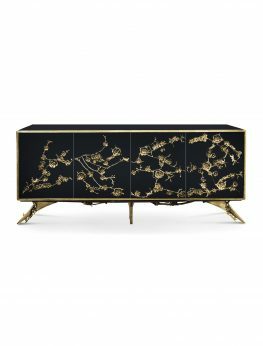 There is a sense of reveal & conceal as this beautiful chest/ cabinet in high gloss black lacquer adorned in metal aged brass organic lace, reveals a mesmerizes with a hint of what lies beneath. Interior is composed of 4 drawers embellished with organic work hardware in aged brass, finish to match the exterior. 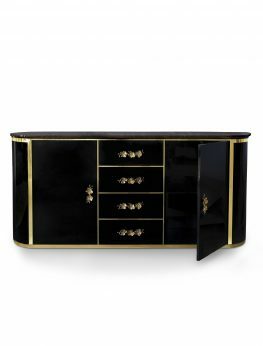 This stunning, highly coveted dressing table is bold, daring and seductive. 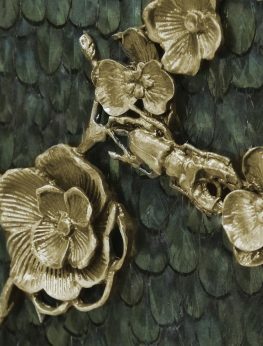 Structure in high gloss black lacquer with the ultrasoft reptile embossed velvet framing a gold metal top is juxtaposed with mesmerizing movements of emerald crystal tassels.